The property is suitable for a couple travelling together or a family of up to four people. who want a fun and chilled out place to relax in after an eventful day exploring Queenstown and the area. Apart from the super king bed in the bedroom, there is an additional funky yellow sofa bed in the lounge that is able to be set up as two single split sofa bed or one sofa bed. The whole apartment is yours to use as we will not be there so you will have complete privacy. We are located on between the airport and central Queenstown. Situated by the Frankton Marina, the lake and mountains are right at you doorstep. It’s a 7 minute drink to central Queenstown and 5 minutes from the airport. Supermarkets, cafe and restaurants are only minutes away. 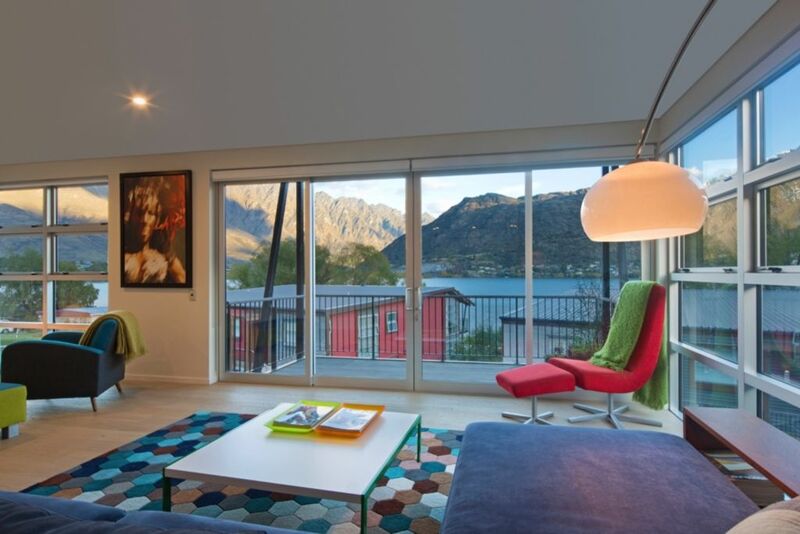 Skiing or climbing on the Remarkables mountains is only a 15 minute drive away and can be seen clearly from the deck. There is a bus stop right outside the apartment complex the goes to Queenstown, Frankton or Arrowtown for $2. We recommend the Boatshed Cafe for breakfast or lunch. There are also lots of other restaurants, bars and cafes in the nearby neighbour. Cool Boatshed cafe at the Frankton Marina does great coffees! Beautiful spot to chill out in Queenstown. Beautiful spot to chill out in Queenstown. Apartment is wonderfully appointed with everything you could want.